In automated packaging operations, transferring products from one machine to another can of-ten bottleneck the entire line. Jams can occur, products may need to be manually inspected, and overall efficiency may be less than optimal as ma-chine operators spend time addressing problems. 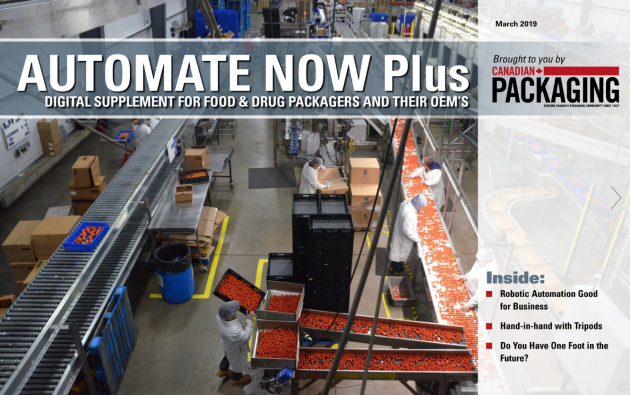 Medifast, Inc., provider of popular clinically proven weight-loss and healthy living products and pro-grams, recently sought to improve the transfer system between its pouching and cartoning machines. 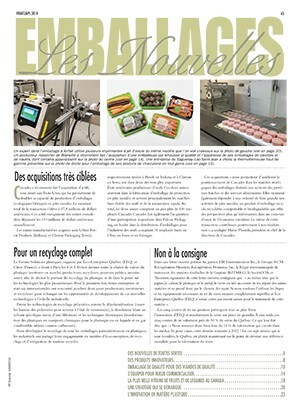 They chose to work with the KHS USA, Inc. Bartelt Packaging Group, a leading manufacturer of filling and packaging equipment for the beverage, food and non-food industries, to implement a flexible automation solution: a new delta robot picking system controlled by an advanced servo platform from Bosch Rexroth Corporation. Medifast supplies powdered, portion-controlled meal replacement products — soups, shakes, soft bakes, pancakes and so forth — for weight loss and weight management purposes. Each product carton contains seven pouches to match up with certain meals for the days of the week. The powdered mixes are filled into standard 5-inch and 5.5-inch tall pouches by an existing KHS Bartelt pouching machine. Once filled, the pouches are sent by pairs through a high-speed checkweighing system and then transferred to the infeed of the cartoning machine. 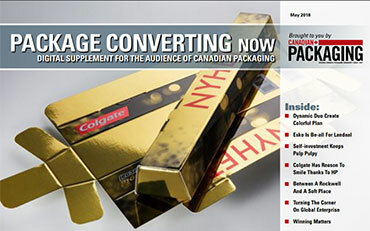 Seven pouches are stacked lying flat in a bucket conveyor on the cartoner, then automatically inserted into the cartons. 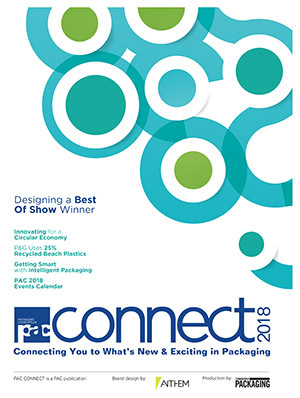 According to Medifast Engineering Manager, Ron Marburger, these three key steps – checkweighing, transferring from the poucher to the cartoner, and stacking the formation for the cartoner – caused intermittent disruptions and inefficiencies that became a persistent issue. After investigating several options, Medifast and KHS Bartelt determined that a three-axis delta picker robot would supply the speed, flexibility and improved placement Medifast sought for transferring product coming off the poucher. KHS Bartelt provided an infeed system with third-party robotic hardware from Codian, controlled by the five-axis cartoner using Bosch Rexroth’s IndraMotion MLC motion logic control platform – similar to the controller already in place on the upstream eight-axis poucher. For the delta robot, the IndraMotion MLC plat-form delivers all the motion and robot control capabilities needed for multi-axis path interpolation in space. It features a full software library of ready-to-use kinematics for robotics applications, and supports fast set-up configuration using onscreen dialog boxes. In addition, machine builders and end-users have the option to use Rexroth’s Open Core Interface soft-ware to author robotics sequences in high-level languages such as C++ if they prefer. The controller hardware is the Rexroth IndraCon-trol L65, a powerful, scalable unit featuring an ultra-compact design and integrated standard interfaces, including Ethernet TCP/IP and Sercos®. “Bosch Rexroth’s controller provides all the func-tionality and processing power that was required for both the delta robot and the cartoning machine,” said Tom Tomac, KHS Bartelt electrical engineering manager. The IndraMotion MLC controllers for the poucher and cartoner are networked together using an external controller-to-controller Sercos interface, which fully integrates control of the packaging pro-cess from pouching through cartoning. Networking both controllers and having the ro-bot and the cartoner share one control platform also made it relatively simple and more cost-effective to integrate the robot into Medifast’s existing systems. Rexroth’s user-friendly IndraWorks programming package was used to program the IndraMotion MLC platforms with a single uniform programming environment for logic, motion and kinematics. The robot is powered by Rexroth IndraDyn MSK motors coupled with intelligent IndraDrive M servo drives. Both pouching and cartoning machines use Rexroth’s IndraDrive Mi cabinet-free integrated servo drive-motor solution, which merges the drive electronics and servo motors into single units that help reduce cabling requirements and the size of the control cabinet as well as the overall machine foot-print. Using the IndraDrive Mi allowed KHS to eliminate a freestanding drive and control cabinet and use a smaller, machine-mounted cabinet. Re-moving the cabinet and adding a delta robot led them to configure the poucher and cartoner inline. “This helped streamline the physical footprint of both lines, eliminating offsets between machines and allowing both systems to be installed in a straight line, saving valuable floor space,” added Marburger. The result is a higher ROI per square foot of floor space. The robot has helped improve multiple areas on the pouching and cartoning line. For efficiency, the KHS Bartelt poucher completes two pouches simultaneously; they are then discharged, separated and sent through two high-speed checkweighers before going into a single line. The robot takes inputs from the checkweighers and only picks up and stacks the good pouches, while any rejects are diverted – significantly improving throughput. “This reduces the time operators have to spend dealing with false rejects and has noticeably improved their efficiency, especially when clearing out any remaining product during lot changeovers,” Marburger said. Creating stable pouch stacks in the bucket convey-or has also been significantly improved. As is typical with powder products, the Medifast ingredients settle into a “teardrop” shape in the pouch – wider at the bottom than the top. In the past, the pouch stacks might not be even and stable, since the mechanical system stacked all seven pouches in the same orientation, with the wider teardrop shape all on one side. He added that alternating the product orientation has enabled Medifast to evaluate different options for reducing carton sizes. 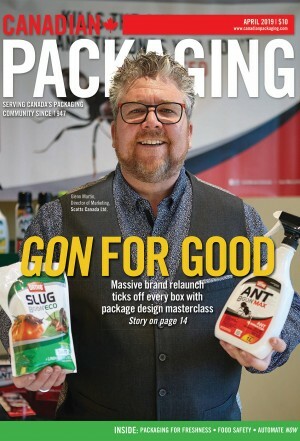 This could decrease container costs and allow more product density in the pallet, in the truck and in warehouses – with potential savings throughout their supply chain. 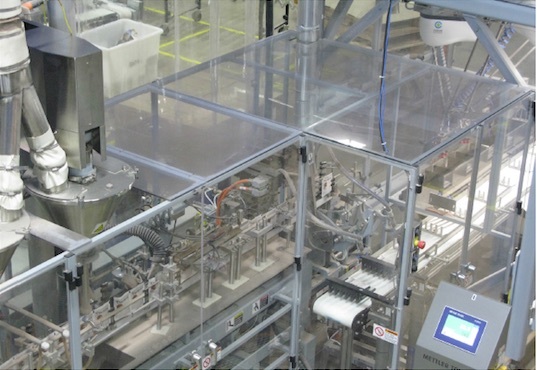 A human-machine interface ties in with the Rexroth IndraMotion MLC platform to control changeovers when different products are processed; depending on the product, the pouch “teardrop” can be thinner or thicker, which changes how the robot stacks the pouches. Medifast uses overall equipment effectiveness (OEE) to track the performance of its manufacturing systems. Under the previous pouching-cartoning con-figuration the maximum OEE they were able to achieve for a single shift was 83 percent. “Most recently, the delta robot has helped us reach almost 97 per cent OEE for a single shift, which absolutely crushed our previous record,” Marburger said.